Hrithik Roshan, who’s now been in showbiz for 14 years celebrates his 40th birthday today and in a career embellished with equal highs and lows, the one thing that’s remained consistent, is the actors commitment and passion for his craft. So irrespective of the fate of his films at the box office, the hunky star, has almost always delivered in terms of his nuanced, performances, which have got him recognition with both fans and critics alike. So without much ado take a look at the slideshow below where we present to you the actor’s most noteworthy performances — Do you agree with our list? Let us know in the comments section below! Hrithik made a huge splash at the turn of the century, with his debut Kaho Naa Pyaar Hai, which swept a bevy of awards, and made even established stars a tad insecure. Hrithik and the chartbusting music were perhaps the only reasons why the film made buckets of money, because looking at it now, papa Rakesh Roshan’s plot revolving around romance and mistaken identities was rather far fetched and ludicrous. Hrithik, danced, acted, romanced and pulled off a dual role with equal aplomb, and lo a superstar was born. In the same year as his debut, Hrithik was seen in two further films, Fiza and Mission Kashmir, which despite performing poorly at the box office, went on to prove one thing. That Hrithik wasn’t just a star, but a reliable actor too. In Fiza, as Amaan the ‘jihadi’ with a heart of gold, and in a cast also comprising of stalwarts Karisma Kapoor and Jaya Bachchan, Hrithik more than stood his ground in a film, that perhaps was a little ahead of its time. In a somewhat similar role that same year, Hrithik was equally superlative as Altaaf in Vidhu Vinod Chopra’s Mission Kashmir, which further cemented his position in the industry as an actor to watch out for. Hrithik’s career was near enough finished after a spate of duds following his debut. It was only when he re-teamed with papa Rakesh Roshan, in this super successful sci fi which kick-started a franchise, that Hrithik bounced back. And how. This alien epic had the most ridiculous plot and silly special effects but what towered above the film was Hrithik’s astounding performance as the lovable man-child Rohit, that won our empathy. It's another matter that the film was a rip off of the Steven Spielberg classic, E.T. A lot was expected from this war drama helmed by Farhan Akhtar, but somewhere along the line the film buckled under despite the massive hype surrounding it. What stood out though was Hrithik as the film’s central protagonist, an aimless lout, who enrolls for the army and unexpectedly lands a job, which subsequently changes his entire outlook on life. The film offered a decent performance by Preity Zinta as a reporter inspired by Barkha Dutt too, but ultimately it was Hrithik that walked away with the film. 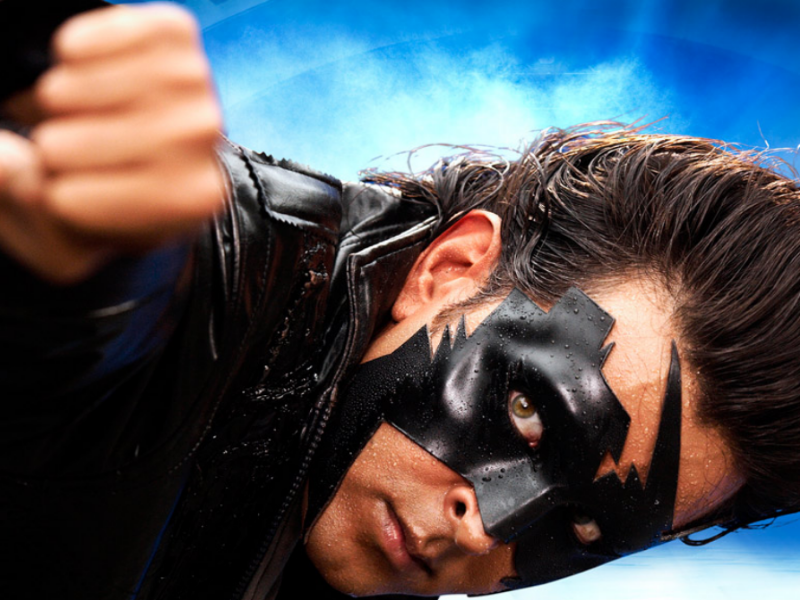 A follow up to Koi…Mil Gaya, Krrish featured Hrithik in a superhero avatar, thereby resurrecting the genre for Bollywood, which until then had been largely unsuccessful. Performing his own stunts, and sporting a Matrix like leather coat and the now iconic mask, this film went on to prove that Hrithik still did his best work under his home production. That it smashed a few box office records in its time is another matter altogether. Dhoom:2 was never about its plot. It was ultimately about cashing in on star power and made no bones about it. But even in a film as frivolous as Dhoom:2, Hrithik was simply unmatchable in an all star cast comprising of Aishwarya Rai Bachchan, Bipasha Basu and Abhishek Bachchan. Everything about his wily thief Aryan redefined cool, and Hrithik made it all look so effortless. Another selling point was his chemistry with Ash, his to die for dance moves and his chiselled physique, and I’m sorry to say Mr Aamir Khan, but Hrithik was and will always be the best Dhoom antagonist, irrespective of box office figures. This Ashutosh Gowarikar epic unfolded at a leisurely pace, but what stood head and shoulders above the film was Hrithik’s turn as the Muslim Mughal Emperor Akbar the Great, which won him several well deserved gongs at subsequent award ceremonies. In the film, Hrithik looked, walked, fought and talked like the royalty he was supposed to be playing and this is by far one of my favourite performances of his in recent times. This film unfairly tanked at the box office, and perhaps deserved more credit than it ultimately received. In the film Hrithik plays Ethan Mascarenhas, a former magician and thereafter a quadriplegic, paralyzed from neck down, who ends up falling in love with his nurse (played with equal aplomb by Aishwarya Rai Bachchan). The Sanjay Leela Bhansali film was heavy viewing, and perhaps a tad on the melodramatic side, but worth watching for Hrithik’s gut wrenching performance if nothing else. 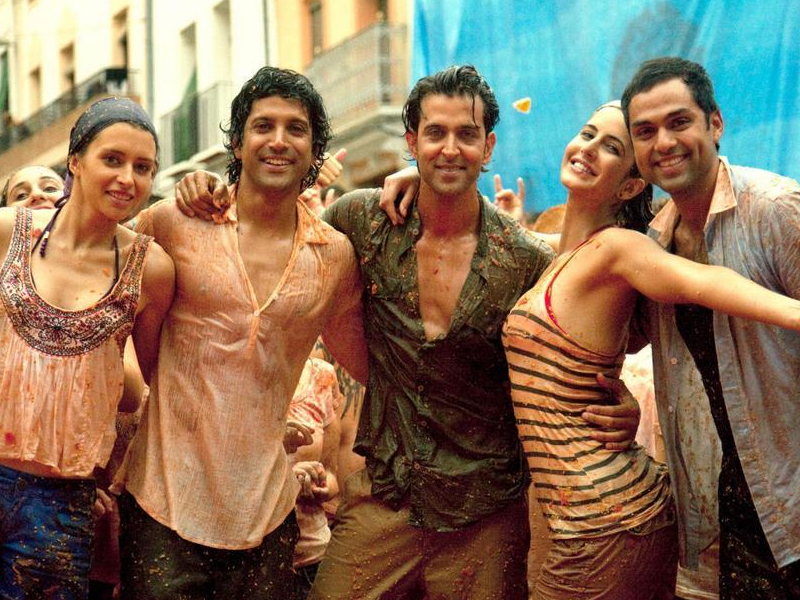 The credit for the success of this film should go to a host of actors including Farhan Akhtar and Abhay Deol, but it was undoubtedly Hrithik that made it the awesome coming of age film that it was. As the uptight, career obsessed, money minded Arjun who reluctantly goes on a road trip with his pals, which ultimately changes his life forever, Hrithik deserves credit for pulling of a character that isn’t so likeable and not so larger than life like his previous avatars. His sizzling chemistry with a usually stiff Katrina Kaif was the film’s other major trump card. Many would argue that stepping into a role immortalised by the legendary Amitabh Bachchan would be professional hara-kiri, but Hrithik gave the iconic Vijay Chauhan character, his own spin and went on to create box office gold. The Karan Malhotra revenge drama, despite its dated theme was eminently watchable, and one of the main reasons was Hrithik’s spirited turn as the modern age angry young man. So there we go. Our list of Hrithik’s finest performances. There have been some very deliberate omissions mind. Kabhi Khushi Kabhi Gham was more an SRK-Kajol vehicle, and Krrish 3 was a little over the top and underwhelming. Apart from these two, do you think we got this list spot on? Let us know below!